Between the boxes and heavy lifting, the joy of moving into a new home can sometimes be overwhelming, but a lush and lovely potted heather plant sitting on the counter will be a welcome new homeowners won’t soon forget. This small, soft-textured shrub represents wishes that have come true and protection in the language of flowers, which for many people is exactly the feeling they get stepping over the threshold of a house that now belongs to them. While the list of things to unpack and organize might stress the new homeowners out, the thoughtful gift of a heather plant will make them even more happy to have just moved in. 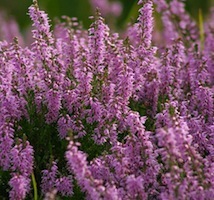 There are hundreds of different species of heather, most native to parts of Africa and Europe, where they grow wild on hillsides. Used in a variety of medicinal applications, this plant has a long history in folk medicine, as well as practical purposes, such as stuffing for furniture and mattresses. The Latin name for the genus, Erica, literally means “broom,” as the branches of this plant were often tied together and used to sweep the floor. With so many uses around the home, this plant has a historical connection to the hearth and is a wonderful welcome in any room in the house. With delicate, bell-shaped flowers lining the entire upright stems, this splendid shrub literally bursts forth in color, with the whole plant covered in blooms all at one time. Soft pinks, bright fuchsias and calming lavender colors make this plant soothing to the eye, as well as to the nose. The evergreen-like foliage has a mild and memory-inducing fragrance that is pleasant but not overwhelming. If you want to preserve the color of the blooms, allow the soil to dry out completely and the bright flowers will retain their color. If the new homeowners have a green thumb, then they can put the plant in a sunny window and water frequently. 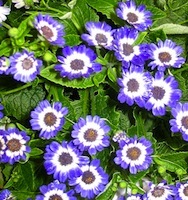 After the blooms have slowly faded, the plant looks lush and natural in a windowsill. If their new address falls in the warmer climate zones, have them plant the heather in the landscape after they have enjoyed it inside. This perennial shrub stays small and will look great along sidewalks and on slopes around the house. Each time it blooms they will remember the day they first moved in and smile.